Nothing like spicy hot chicken wings during football season, but who needs the calories? 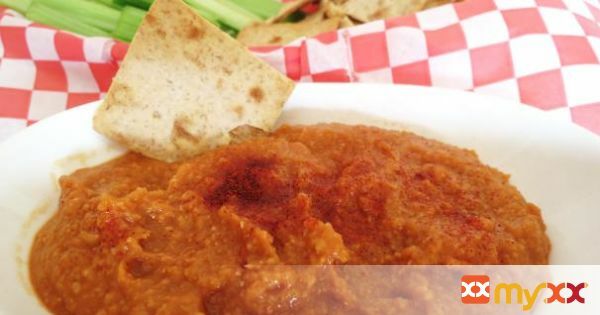 Get your wing fix with this healthy wing hummus made with hot sauce, by far this is the best hummus I ever made. It really does taste like chicken wings and I'm from Buffalo. 2. Put the chickpeas, chickpea liquid, garlic, lemon juice, paprika, celery salt, barbecue sauce, hot sauce, and vinegar in a food processor. Puree until smooth and creamy.